These two quotes are so true! Read them again and think about them. Most people are too attached to the past, to what they are familiar with, and therefore, miss opportunities that stand right in front of them. 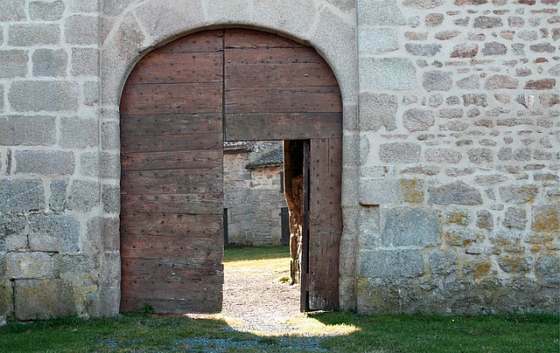 Doors may close, but there are always, other, unlimited number of doors – new opportunities. The world is full of opportunities, if we could only see them. The Infinite Power is boundless, and so the possibilities are without number. Not every plan works out. Sometimes, there are losses and failures. Sometimes, there are problems in relationships. Sometimes, people lose their money or job, or meet other unpleasant things. We don’t always have control over these events, but we can exercise control over our mind and attitude. When one of these events happens, and we focus our attention on the loss – the closed door, we see only a closed door with the resultant frustration and unhappiness. If we could only move our sight and attention away from the closed door, we might be surprised to discover new, open doors. It might not be so easy to move our eyes elsewhere, due to attachment to the old and familiar, and fear of the new and the unknown. If you find it difficult to stop the stream of uncontrolled negative thoughts, your mind would keep focusing on the loss, failure, and frustration – on the door that has closed. Would these thoughts help you in any way, or they will create suffering, and prevent change and improvement? You may agree with what is being said here, but how can you free yourself from past attachments and see the new opportunities? How can you bring yourself to see, and enter the new doors that open for you? You will need to be more aware of your thoughts. Desire to free yourself from thoughts that keep you stuck in one place. Develop some degree of self-discipline. Develop a certain degree of concentration ability and control of your mind. Take advantage of the power of affirmations and visualization. A certain degree of inner peace would also be useful. It will help you reject unwanted, negative thoughts, and become more open-minded, positive and happy. When your mind it at peace, it would be easier for you to detach yourself from the past, keep an open mind, and therefore, see more clearly the new doors that open for you. Don’t forget, when one door closes another one opens.